Jackie LaPreal Hinrichs, 75 passed away February 2, 2019 at her home in Paul, Idaho. 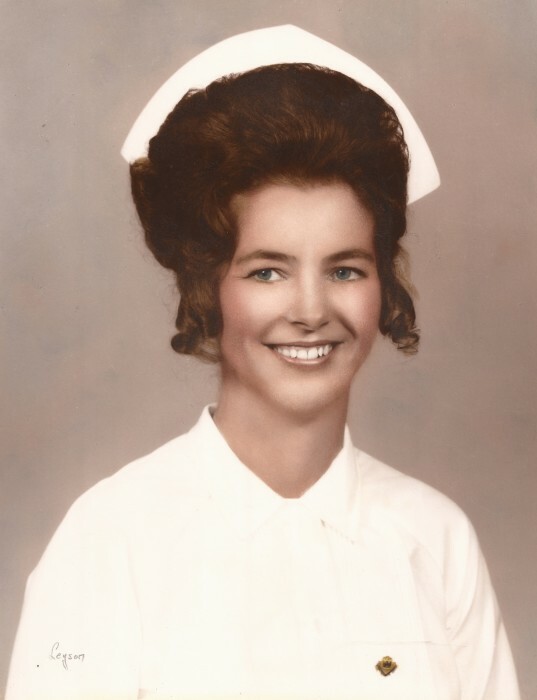 Jackie was born in 1943 in Rupert, Idaho and lived in Paul, Idaho for over 50 years. She was loved by many and dedicated her life to serving and loving others. She was a member of the Paul 2nd Ward Church of Jesus Christ of Latter-day Saints and was an LPN at Minidoka Memorial Hospital for many years and was also the activities director, She was also a Grandma Queen of the Minidoka County Fair and Rodeo and enjoyed her membership in the Back Country Horseman, BPW and her church. Jackie is survived by her daughters Teryal (Glen) Ward, and Sheila Pfeifer (David Shaw), grand daughters Kallie (Jose); Avila, Andraya (Eddie) Gonzales. Grandsons Johnathan (Lindsay) Ward and Quinton Ward. Granddaughters Chantel and Lillian Shaw. Her stepchildren, David and Kathy Hinrichs and granddaughter Stacie-Rae. Grandchildren Josh and Angie Bollar, brothers Ricky and Ronnie Uriguen, sisters Laura Sherman and Holly Maier along withTammy and Lalo Avila, as well as many great grandchildren and beloved family members. She is proceeded in death by her husband William Hinrichs, mother Ora LaPreal and step father Joe Uriguen. Her father Jack and step mother Mary Rupard. Her brothers Dennis Rupard and Bobby Uriguen as well as many beloved family members and special animals she cared for throughout her life. Funeral services will be held 11:00 a.m. Saturday, February 9, 2019 at the Paul 2nd Ward Church of Jesus Christ of Latter-day Saints 424 West Ellis St. Paul, Id .Viewing for family and friends will be held from 6:00 to 8:00 p.m. Friday, February 8, 2019 at Hansen Mortuary. Services will conclude with burial in the Paul Cemetery under the direction of Joel Heward Hansen Mortuary.